If you are just starting out and looking for affordable web hosting plans, then iPage Web Hosting is the best solution for you. 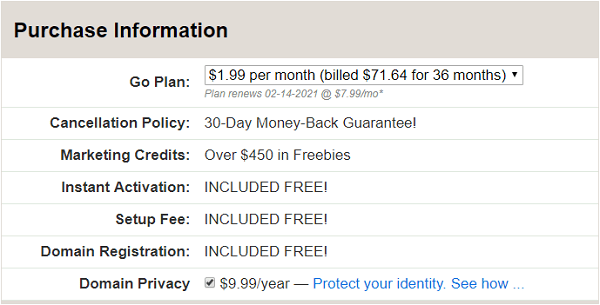 You can start your website as low as $1.99/month (75% instant discount). iPage is a domain registration and web hosting company owned by Endurance International Group. What is iPage Web Hosting? iPage was officially founded in 1998, but the company re-launched it’s operations as a web hosting provider in 2009. It’s currently run by Endurance International Group (EIG), which is also the owner of other most popular web hosting companies such as BlueHost, HostGator, BigRock and Resellerclub. 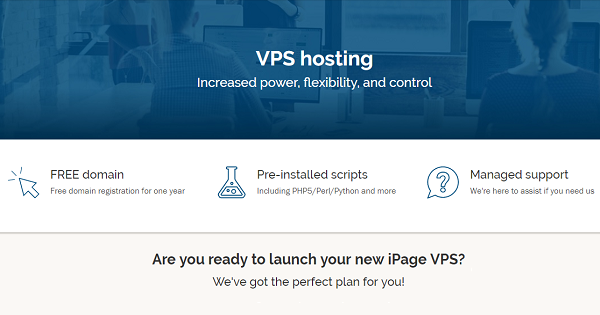 They offer a wide range of web hosting solutions such as Shared, WordPress, VPS and Dedicated hosting. iPage offers one of the cheapest and low-cost shared hosting plans which are highly suitable for small websites. They also offer a drag-and-drop website builder that help non-techie users to create a website without any coding knowledge. iPage shared hosting plan enables users to host unlimited domains, unlimited disk storage, data transfers, free email addresses, FTP accounts, add-on domain names, MySQL databases and money back guaranteed. You will get your professional domain name absolutely FREE for a year. How to apply iPage Hosting Discount? To get up to 75% discount on Shared Hosting Plan, you need to sign up with our exclusive iPage discount link. We recommend you to follow this step by step process to get the discount. Step-1: Click here to visit iPage Web Hosting, here you will see the price after discount. Now click on “Get Started Now” button to proceed. Step-2: If you want to register a new domain name, then select “Register a new Domain” option, type your domain name in domain name box and click on “check availability” button. If your domain name is available, then you will redirected to billing information page. If you already have a domain name, then select “I plan to use a domain I already own” option, type your domain name in domain name box and click on “Continue” button to proceed further. 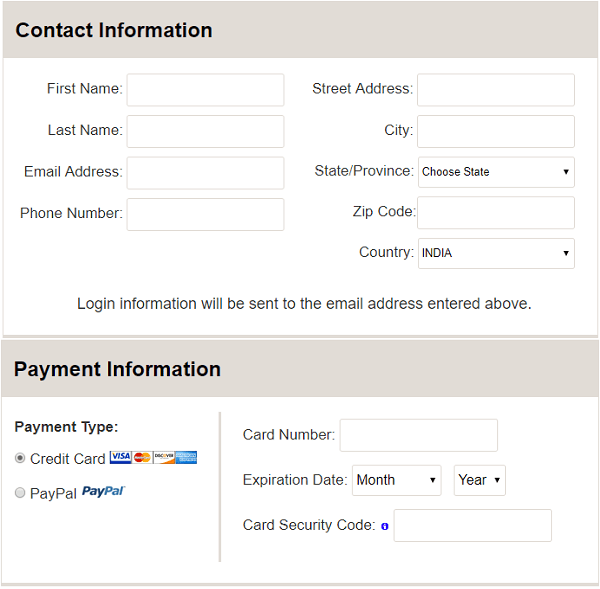 Step-3: Here you have to fill your contact information and payment information to create account with iPage Web Hosting. You can make payment either via credit card or PayPal. You login information will be sent to your email id so recheck your email address before making payment. 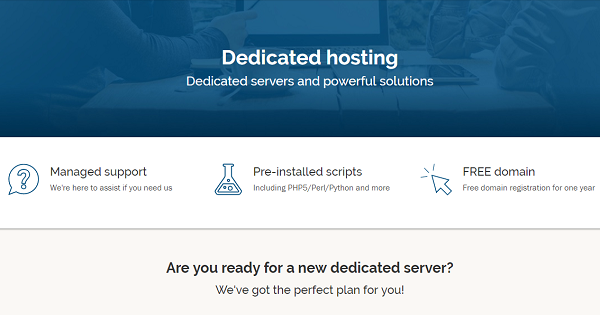 Step-4: Now it’s time to select web hosting plan. To get the maximum discount, choose 36 months as your hosting package. If you are not satisfied with their service, there is 30-day money-back guarantee. By default “Domain Privacy” is checked. If you don’t want to protect your website’s whois information, then un-check the “Domain Privacy”. Step-5: Now scroll down and select any other website essentials, if you want. By default “Website Security” and “Site Backup & Restore” will be checked. Now click on “Check out” button. 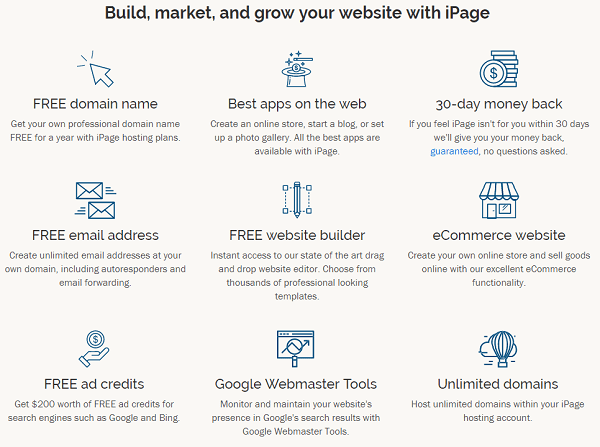 if you uncheck everything, then you will get iPage web hosting at $71.64 for 3 Years. 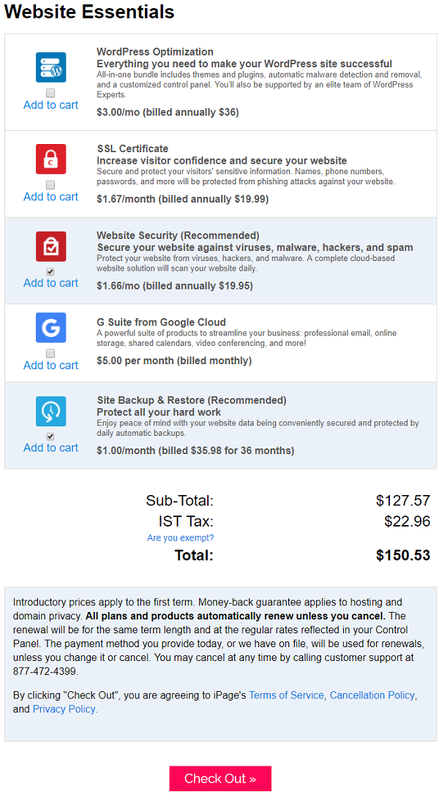 If you go for “Domain Privacy”, “Website Security” and “Site Backup & Restore”, then you will get this package $127.57 for 3 Years. Your account with iPage has been created. You will get your login credentials on your email id which you have given at the time of registration.